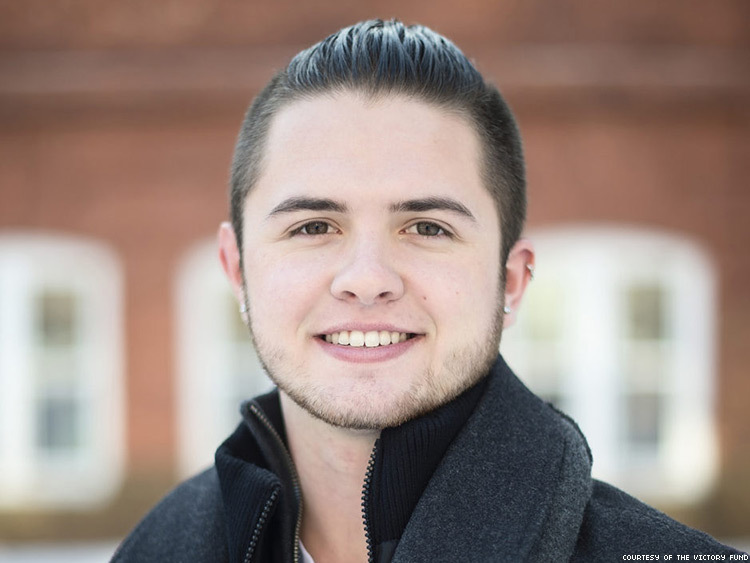 Brandon Studler is spending the next year working for the Congressional LGBT Equality Caucus. In the first of a series, Studler describes how he gathers the strength to fight the Trump administration. From the floor of the U.S. House, anti-LGBTQ Congress members were comparing transgender people to eunuchs and castrated slaves, claiming they were a “domestic threat” to the readiness of our troops. They vilified honorable trans military members — pushing to pass an amendment that would ban trans people from serving in the military, then one barring the funding of their transition-related health care, an amendment the Speaker of the House and most Republican members supported. It was my second week on the job. And I am the only openly trans person working on Capitol Hill. When I began my Victory Institute Congressional Fellowship with the LGBTQ Equality Caucus just a couple weeks before, I was overwhelmed with excitement about the possibilities. Walking down Constitution Avenue with the dome of the U.S. Capitol looming large against a blue sky, I couldn’t help but feel inspired by the history, power, and prestige of the institution. But I was quickly reminded of the ugliness of politics as well. The anti-trans amendment that came to the House floor was put forward by Rep. Vicky Hartzler of Missouri — who used her time at the podium to lie about the cost of transition-related care for trans military members. Hartzler proposed the health care amendment after withdrawing the outright ban on service, and said this health care would cost $1.35 billion, despite RAND Corp. experts estimating it at a few million per year. But this was not about facts or even health care or the military budget. It was about singling out service members risking their lives for us abroad, just because they are trans. Compartmentalization is key, and I remember this from last summer working in the U.S. Senate. So following Hartzler’s remarks and then Trump’s series of tweets, my colleagues and I got to work — they being more accustomed to the fallout from the constant barrage of attacks on marginalized communities from this administration. Yet my small contributions behind the scenes helped focus my mind — helping the caucus respond on social media, live streaming the Trans Task Force press conference, conducting research for updates and monitoring media for further developments. But as I made my way home, the significance of these attacks began to sink in. I felt more isolated than I had been that first week walking proudly toward the Capitol, and the reality of what these attacks mean for my community and those service members became more clear. I began to realize the true nature of being openly trans on the Hill. Despite the strong political and personal persona I hold myself to, there remain heart-wrenching difficulties to it as well. Trans spouses, childre,n and dependents of service members faced the threat of losing their health care. Cadets, potential recruits, and all active and reserve service members feared losing their jobs and future careers, their benefits, their homes, and lives built around their service to America. And typically, these are individuals who have already been through a lot. I have felt the pain of binding my chest so tight with Ace bandages that my ribs were bruised and skin raw. I know the anguish of not being able to express myself because it is not safe. I lived through the hateful slurs along with constantly correcting those who misgendered me. Being openly trans leaves you under a constant threat to your life and well-being — and our president and Congress want to make life more difficult for us. Every morning, from the moment my head lifts off my pillow to when it rests again at night, a part of me lives in fear. I accepted the Victory Institute fellowship knowing the difficulty of being the only openly trans person on the Hill — and that trans equality would likely be an issue of debate at some point during my yearlong experience. But I also understood the importance of representation — of having a trans person on the Hill who can humanize our lives for my colleagues and help influence the debates happening in the cafeteria all the way up to the House floor. That is why I am here. Eleven more months to go. BRANDON STUDLER is the 2018 David Bohnett Victory Congressional Fellow, working on a yearlong fellowship at the Congressional LGBT Equality Caucus. Victory Institute works to increase the number of lesbian, gay, bisexual, and transgender people in public office and to provide programming, service, and other support to ensure their success.